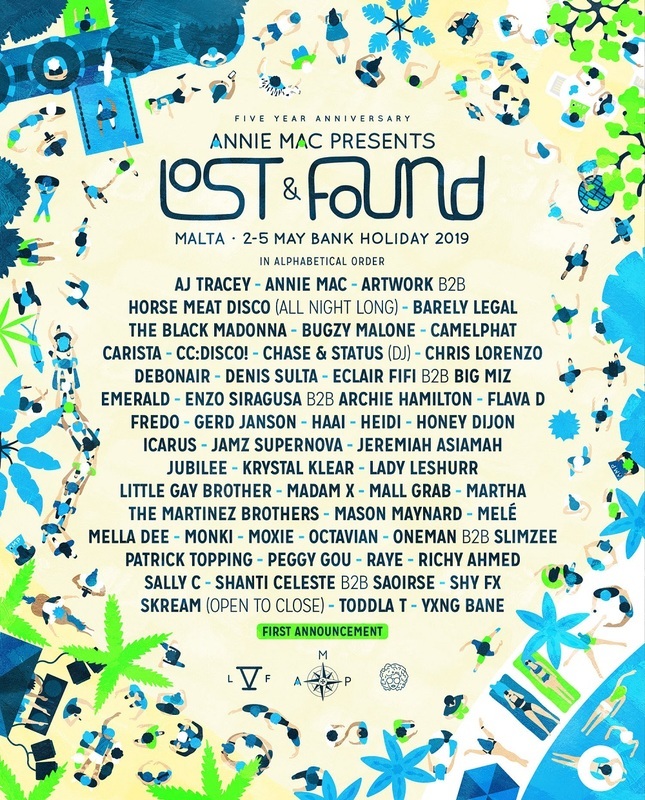 The Black Madonna, Chase & Status, Peggy Gou, Octavian, Honey Dijon, Lady Leshurr and Flava D are among the first acts confirmed for Annie Mac’s Lost & Found 2019. The fifth edition of the music festival in Malta will run from Thursday, May 2nd to Sunday, May 5th with castle, beach, pool, boat events plus a nighttime site. Chase & Status will make their debut in Malta with a DJ set, while Gerd Janson, Patrick Topping, The Martinez Brothers, Shy FX, RAYE, Richy Ahmed, Madam X, Skream, CC:DISCO! and will also play. Back-to-back sets will come from Shanti Celeste and Saoirse, Artwork and Horse Meat Disco, Eclair Fifi and Big Miz, Enzo Siragusa and Archie Hamilton plus Oneman and Slimzee. Bugzy Malone, Fredo, AJ Tracey, Yxng Bane, Toddla T, Denis Sulta, Mall Grab, Heidi and Mella Dee are all part of the first line-up announcement. Annie Mac Presents Lost & Found tickets on on sale at 9am on Friday, November 2nd. For tickets and details go to lostandfoundfestival.com.